Bath time... is it not every one's favourite time of the day? (If it's not your favourite time then please comment telling me WHY). Today I thought I'd write a bit of a beauty orientated post, seeming as I haven't been writing about beauty much at all lately - and what better way to ease in than with a 'favourites' post? 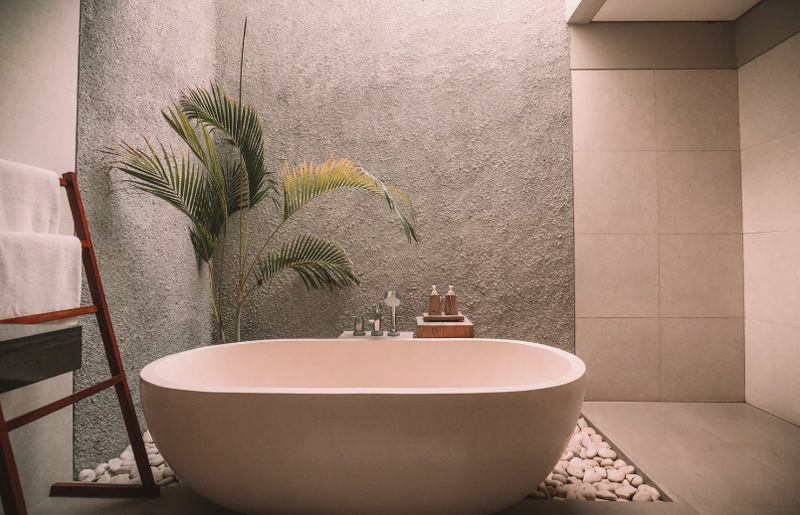 Now that the weather is getting noticeably colder, dryer and wetter, I think that our time spent in the bathroom in the mornings and before bed gets a little bit longer and more complicated. Our skin, hair, eyes and lips dry out far more easily from the cold weather and excessive use of heating and our hands and feet can become chapped and dry too. That means extra exfoliation, extra moisturiser, extra lip balms, hair masks... you get the picture. 1. Dove Deeply Nourishing Bodywash. As a brand, I love Dove and I think all their skincare and bodywash ranges are amazing. During the summer I do like to use their more light and fruity bodywashes (try the pomegranate one it is amazing), but when winter comes around I feel like I need something richer, thicker and more heavy duty. Dove's Deeply Nourishing Bodywash is the perfect moisturising winter wash; I feel like I can literally feel my skin hydrating itself and drinking up the moisture when using. It always leaves my skin feeling silky and smooth and is the perfect winter wash.
2. Aussie Miracle Moist Shampoo. When it comes to hair and shampoo, Aussie is one of my favourite brands. I love the smell, the quality, the packaging, everything. 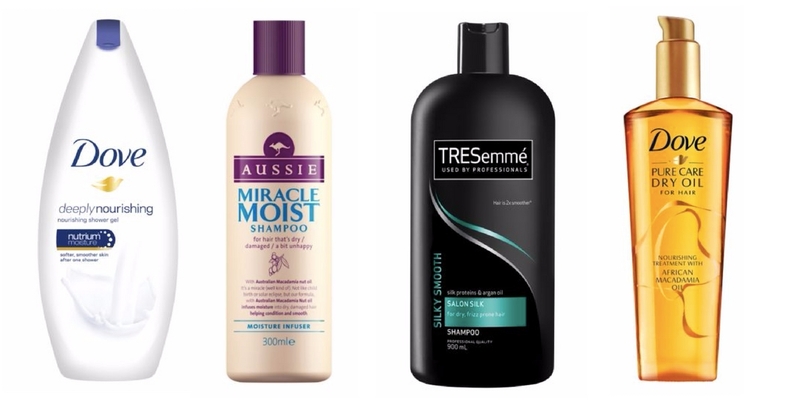 I know that Aussie have a Winter Miracle collection out but I honestly just love their standard Miracle Moist shampoo. The shampoo is infused with Australian Macadamia nut oil (very good for the hair) and conditions as well as washing/moisturising/hydrating. It smells amazing too! 3. Tresemme Salon Silk Conditioner. I have loved Tresemme for such a long time (mainly because it's the shampoo/conditioner my mum used to buy when I was younger) so this is pretty standard, really. A good lump of Salon Silk conditioner combed through the hair always leaves it feeling silky smooth. 4. Dove Pure Care Dry Oil for Hair. Winter and cold weather means taking extra care when looking after our locks. Dove's Pure Care Dry Oil is the perfect quick treatment to restore your hair and get it looking healthy and full again. It is super light and infused with African Macadamia oil. All you have to do is squirt a few pumps into your hand, rub them together to warm it up and run through your hair from mid-length to the tips after washing. 5. Radox Bath Smoothies Tropical Tranquility. Just because it's winter doesn't mean that we can't still enjoy tropical summery scents that remind us of being in the sun. I love using Radox's bath smoothies - a squeeze in the bath leaves you with loads of bubbles that smell like coconuts and almonds (mmm..) and of course leaves you squeaky clean and velvety soft after a bath. 6. 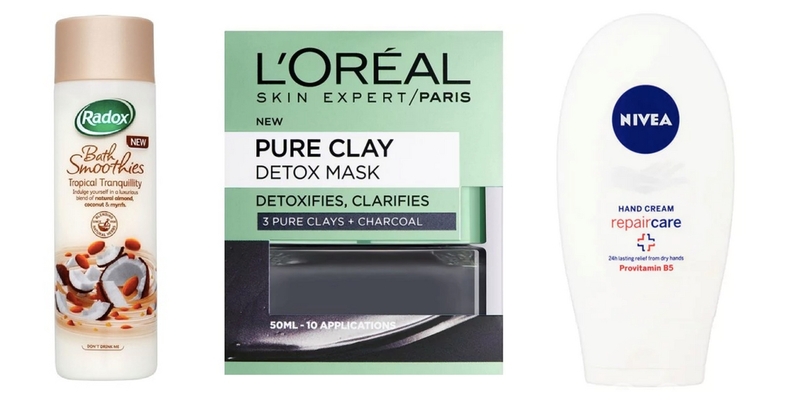 L'Oreal Paris Pure Clay Detox Face Mask. A little bit on the pricey side, but worth it. I hate tissue masks as I feel like they don't quite get all the dirt out of your skin like a liquid face mask does, and I think when it comes to face masks it is definitely worth investing. The L'Oreal clay mask is amazing - three different clays mixed with charcoal aims to detoxify and draw out impurities. During winter I always eat way more (its those early dark nights that make me want to watch films with snacks!) and so I feel like using this mask every so often saves my skin. 7. Nivea Repair Care Hand Cream. Don't forget about your hands! My hands always get so dry during winter so a good hand cream is a necessity. I love Nivea's Repair Care hand cream - it always relieves dryness and tightness quickly and effectively, leaving hands soft. Most (if not all) of these items are available on Chemist 4U Online Chemist* - an online chemist that sells cosmetics at discounted prices. 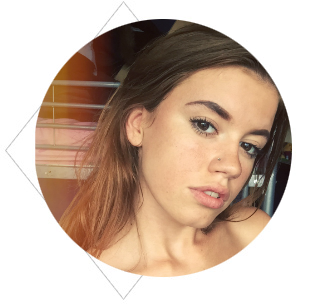 What are your favourite winter beauty products? *This is a collaborative post with Chemist 4 U.
I love a good salt scrub laced with oil to make my skin super soft and smooth for the party season! I want to try the pure clay face mask I was unsure about trying it for the price it is but definitely tempted to try it now as i do love a good face mask. Anything by dove is good with me - one of the few brands I'm allergic too. I use a different hand-cream but still Nivea, I like how quickly it's absorbed. I've got the Aussie shampoo and conditioner and the L'oreal face mask in my cupboard so I am going to have to get them out and have a bit of a pamper session I think. I love the Nivea creams - I use a daily face cream from them, and Radox too, but I'm quite partial to the Ginseng and Black Pepper for men, lol! I love Aussie products, I've used them since my teens and swear by their miracle moisture collection! I always love using dove since before and the tresemme so far it really looks good to my hair. Aussie shampoo is without a doubt my go to every time!!! It’s the best shampoo and the conditioner is also a massive life saver! !